Quell&Co. 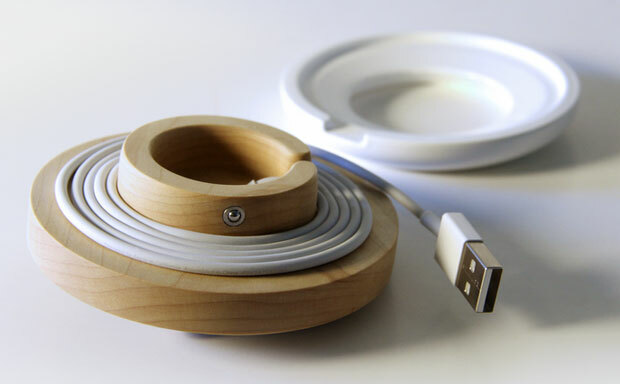 comes up with a neat trick for iPhones and iPad Minis: the Spool Dock. 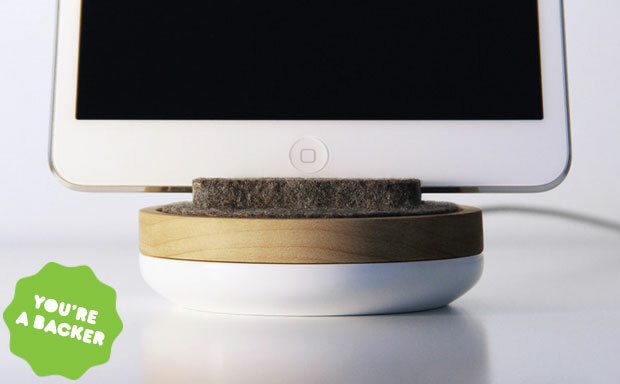 The brand new tablet dock acts as a highly convenient stand and hides the cable underneath, preventing tangling. The case accommodates iPhones 5 and up, iPod Touch 5G, and the iPad Mini. The 17 degree viewing angle the dock is offering has been selected based on extensive research. 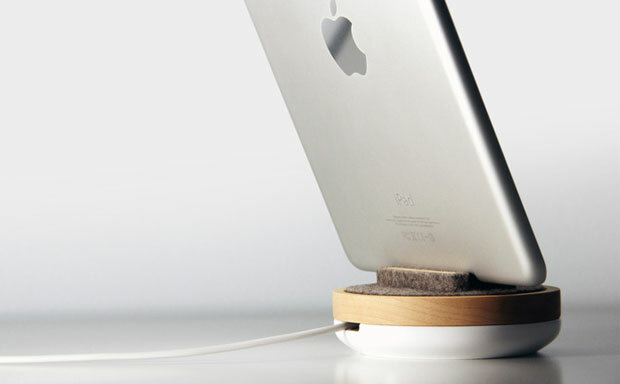 The dock fits devices with or without the third-party cases attached to them.